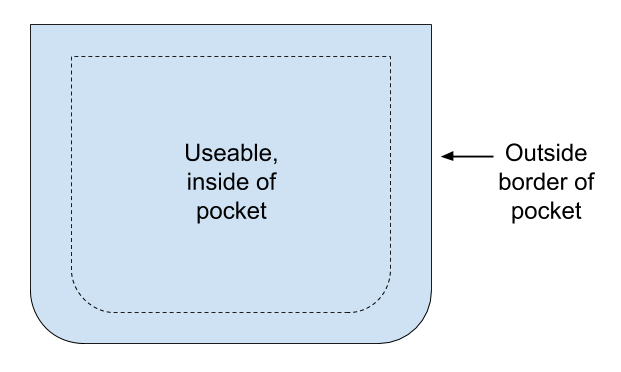 What Does Building Pocket Mean? I remember hearing the term ‘pocket lot’ years ago and thinking what are they talking about? It turns out that the definition of a building pocket or a “such-and-such size” foot building pocket lot doesn’t appear online anywhere. 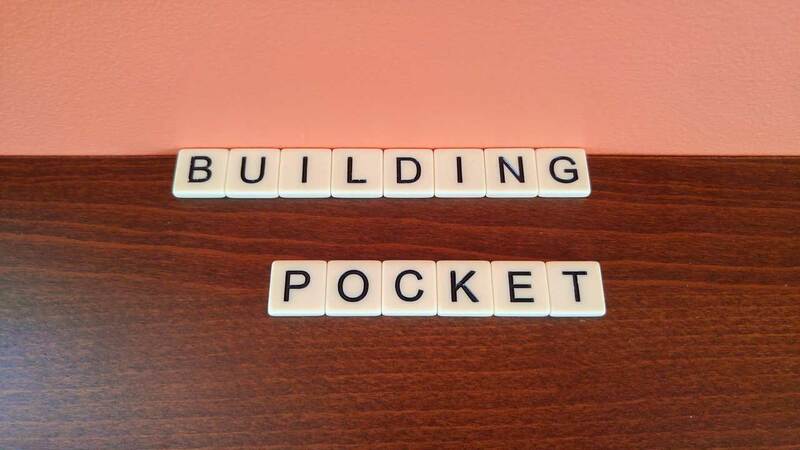 So what does building pocket mean? The simplest definition is that a building pocket is the maximum width a home can be on a certain lot. The larger the number, the wider the house could be. This term is used loosely in Edmonton real estate and isn’t the most logical. I mean all lots have a certain pocket size, but many ads for lots for sale simple call these ‘pocket lots’. What you really want to know is what is the size in feet. Is it a 36′ pocket, or a 50′ pocket (which you might be able to put two skinny houses on). Say you see a listing for a 44′ pocket lot. This means that a house can be 44′ wide on this lot. This means that the lot is larger than this – that is wider, or has more frontage – to allow for a house this size. You see, you have to have a building or house set back from the neighbour and front street and you have to have a back yard too (at least in most places). You’re not building right up to the lot line. Let me draw you a picture! An example of three lots with pocket explained. So in the above drawing, the leftmost lot is wider than the other two. It is a 44′ pocket (44 foot pocket lot). That means that the house can be 44 feet wide. The other two lots are narrower and so their pockets are narrower as well. In this example, the 50 foot wide lots allow a 44 foot wide home, whereas the 42 foot lots allow a 30 foot wide home (a 30′ pocket). This is just a made up example, though. All lots have different rules depending on where they are located and which municipality governs them. Also, it’s good to know that this isn’t usually a term used in infill housing, but rather with new builds. You could simply tell a prospective buyer how wide the lot was, but in this case you are doing the math for them. You’re telling them it’s a 20′ pocket lot – something you would have for a skinny house – or that it’s a 33′ pocket – one you could build a pretty large house on. 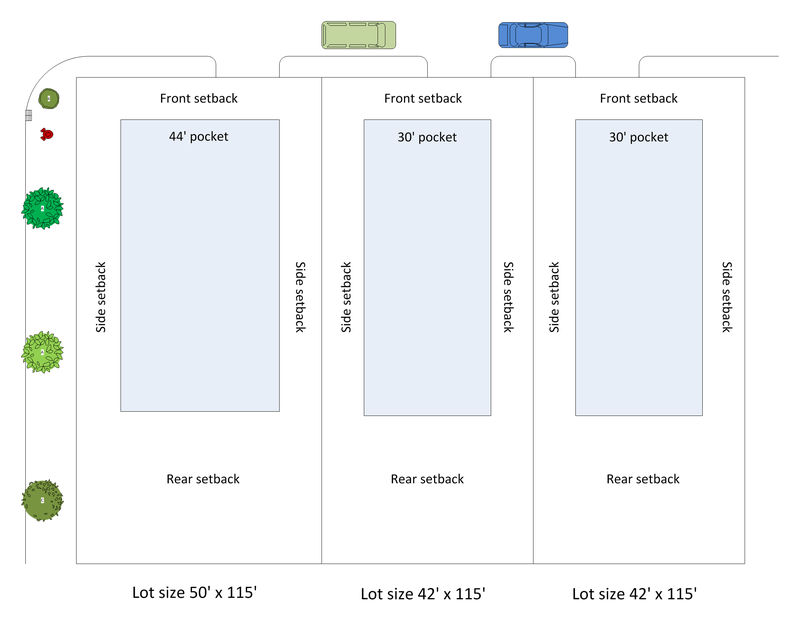 Pocket sizes depend on lot size and zoning. The larger the lot, the wider the building pocket. The narrower the lot, the narrower the building pocket. But zoning is an important factor too. If the lot is zoned a certain way that setbacks have to be wider, then that eats into the building pocket. Check the zoning and plot plan to find out how large of a house you can build.